technique, atmosphere, space, and the intangible sense of life as raw, physical, and seductively beautiful. then showed it to us, without hesitation, with canvas and paint. 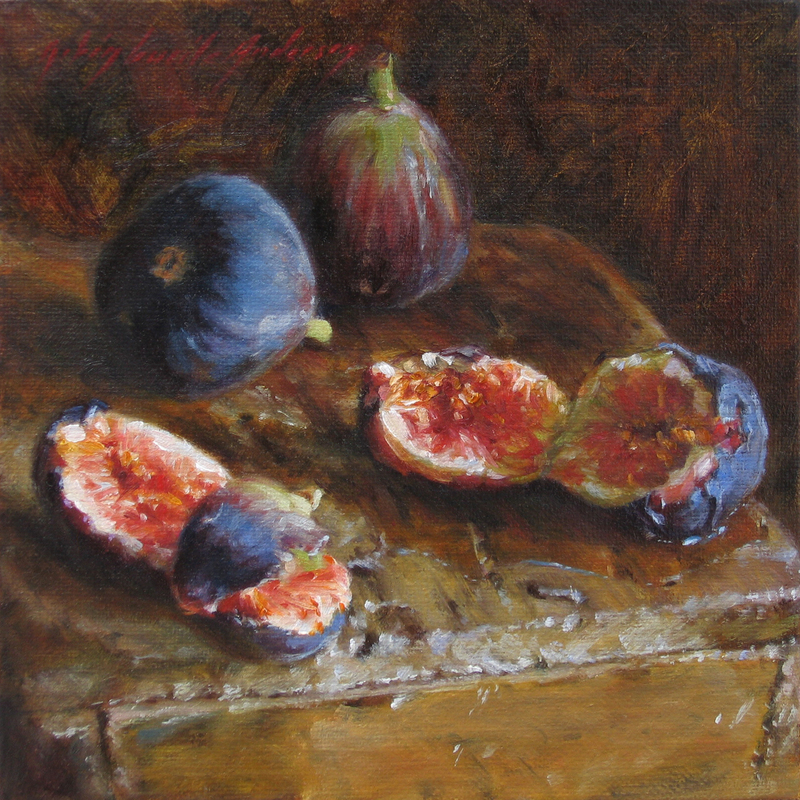 Bacon, Robin’s figs deliver the raw, intensity of nature minus Bacon’s surreal neurotic twists. executed and oozing life on the ancient wood altar. and blood. It is their purpose. It is why they exist. It is also why I like the subject matter of this painting.